Posledné dielo islandského skladateľa Jóhanna Jóhannssona je hudba filmu Mandy a vyšlo posmrtne v septembri 2018. 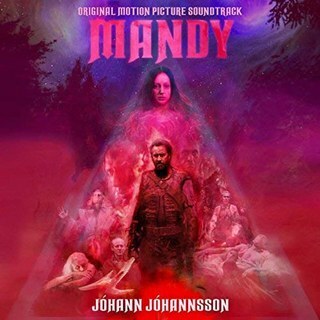 The film score was co-produced by Jóhannsson and Randall Dunn (produced Sunn O)))) and features Sunn O)))’s Stephen O’Malley on guitar. The album was assembled posthumously in March 2018 with the help of co-producers Pepijn Caudron (Kreng) and Yair Glotman. The film, directed by Panos Cosmatos (Beyond the Black Rainbow) and starring Nicolas Cage, is released by RLJ Entertainment. The film was produced by SpectreVision, XYZ Films, and Umedia with support from Legion M.